A federal US judge and jury have dismissed a billion-dollar claim by Oleg Deripaska’s companies against investment bank Morgan Stanley after three years of litigation and two weeks of trial in a Manhattan courtroom. The jury verdict was announced on November 13. The case is the first in which Deripaska, chief executive and control shareholder of Rusal, Russian Machines and Basic Element, and Gulzhan Moldazhanova, his closest aide for more than a decade, have testified under cross-examination in a US court. Commencing with an initial filing against several international banks on August 3, 2012, the case has continued for three years and three months. Before the trial opened on November 2, the presiding judge McMahon had dismissed six other banks listed as defendants in Deripaska’s claim, and rejected all but one of the charges against Morgan Stanley. 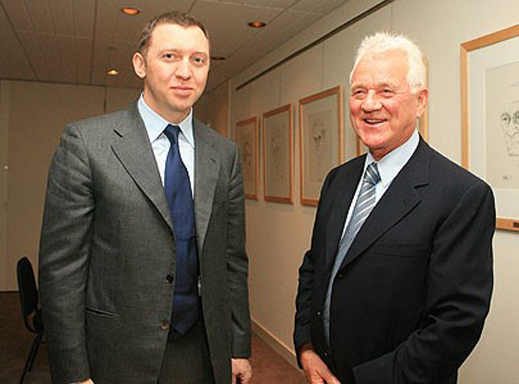 His case against the banks goes back to September of 2007 when Deripaska (lead image, and below left) acquired effective control of the Canadian auto parts manufacturer, Magna International, from its founder, Frank Stronach (below, right). For the details of their deal, including those announced publicly and those hidden from the Canadian stock market, read this. A year later in 2008, as the US banking crisis struck Morgan Stanley, and the global economic crisis caused the share value of both Magna and Rusal to plummet, the bankers required Deripaska to pay cash to meet margin calls, bridging the difference between the original value of the loan pledge and its dwindling value in the stock market. Deripaska appealed to then-Prime Minister Vladimir Putin to save him from defaulting on his debts, losing both Rusal and the Magna stake. Putin decided to save Rusal, not Magna. Morgan Stanley sold Deripaska’s Magna shares back to BNP Paribas, the bank which had financed Deripaska and Stronach at the start. This chain of events took place between October 28 and November 3, 2008. The court documents, kept secret until the judge unsealed them in April of 2014, reveal for the first time that Deripaska tried convincing his US and French bankers that Putin would save him; but that the bankers didn’t believe him. Deripaska has revealed in court he asked Putin for a billion-dollar bailout in addition to the $4.7 billion Putin had promised him to rescue Rusal from its foreign creditors. What Putin told Deripaska is not reported. The court papers reveal that in Deripaska’s original transaction with Stronach, a cash payment of $75 million was made to Stronach personally, plus financing of $1.57 billion for the Magna shares. Deripaska’s Dutch front company for the deal, Veleron Holding, then borrowed $1.23 billion from BNP. The difference of $340 million appears to have been an outlay by Deripaska, through another entity, for Magna shares. The court claim submitted that this sum was a “direct infusion of equity”. Click to read Part 1 of the Veleron claim, section 35 and 39, here. This claim also counted damage suffered by the Deripaska companies to be “in excess of 800 million” and “not less than $900 million”; these numbers were based on the value of the Magna stake six years after Deripaska had forfeited it. He also asked the court to calculate and award him the sum of the profits Morgan Stanley was alleged to have made on its Magna share trades. Judge McMahon (right) appears not to have accepted any of these calculations. According to Deripaska’s lawyers, because BNP quickly disposed most of its loan exposure to other banks, and took out two large insurance policies, “BNP’s potential exposure to loss from any potential default under the Loan was virtually non-existent” (Sect. 73 of the Veleron claim). The court papers also reveal that, according to Deripaska, Morgan Stanley and BNP made a combination of private and public transactions between themselves in which BNP was the largest buyer of the Magna shares, netting a paper profit of $19.4 million. Reportedly that included $6.3 million in proceeds which, according to Deripaska’s claim, should have come off Deripaska’s loan repayment liability. 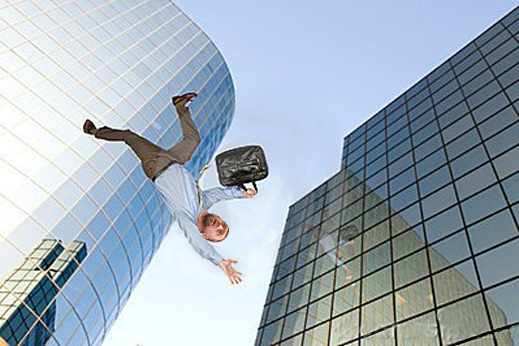 Later, when BNP issued a demand for Deripaska to repay $79.3 million – the supposed difference between the value of the loan collateral and the selloff — he responded the bank had failed to provide “sufficient [information] to allow [Veleron] to independently calculate the deficiency.” BNP’s insurers came to the same conclusion. According to the court papers, the unnamed insurance companies rejected BNP’s claim for cover of loss of about $80 million, paying instead just $7.8 million (Sect. 176 of the Veleron, click for Part 2). Testimony in court reported a subsequent settlement of $25 million by Deripaska for BNP. Last week Jonathan Polkes, an attorney for Morgan Stanley, told the jury in his summation of the case, Deripaska’s loss calculation was “witchcraft”. He added: “there ain’t no way that Mr. Deripaska was harmed one red cent as a result of any of this.” Polkes’s law firm, Weil, Gotshal & Manges, has issued a press release claiming “total victory” over “a Russian billionaire” in the case. The response to the verdict from Aaron Marks, a lawyer for Deripaska at the firm of Kasowitz, Benson, Torres & Friedman, is that an appeal is being considered over the next month. The likelihood of that succeeding is low, US lawyers say, because the judge had also reviewed the evidence, announcing that even if the jury verdict had been favourable for Deripaska, she doubted he would be entitled to damages. Deripaska did not appear personally to testify in the trial. Instead, a videotape of his deposition taken a year ago was played to the jury. Moldazhanova was called to the stand and underwent cross-examination for two days, November 9 and 10. The judge had rejected the appeals by both to avoid their subpoenas to testify. 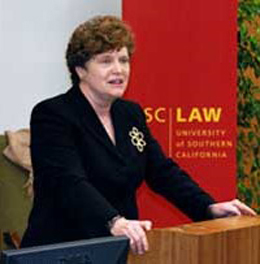 The judge also attacked the competence and legal tactics of Deripaska’s lawyers, threatening them at one point with contempt of court, and declaring at another stage of the proceedings that they had submitted “among the least artfully pleaded complaints of its genre that I have ever seen.” She agreed to let a single charge, that of insider trading, to go to jury trial. No Russian media have reported details of Deripaska’s involvement with Putin from the US court files. There has been no Russian press report of the outcome of the case. Deripaska’s US lawyers have commenced a parallel proceeding in the New York state court, charging Morgan Stanley with fraud. This is still in the preliminary stage, with oral argument scheduled for November 24.